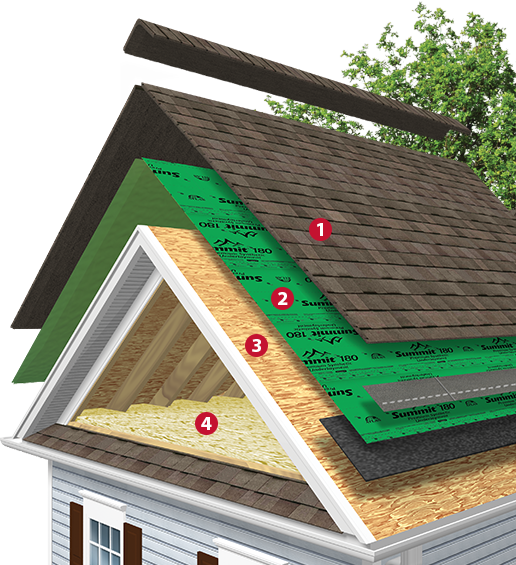 Average asphalt shingles without impact resistance may break or fracture during a hailstorm, exposing the roof to moisture penetration. 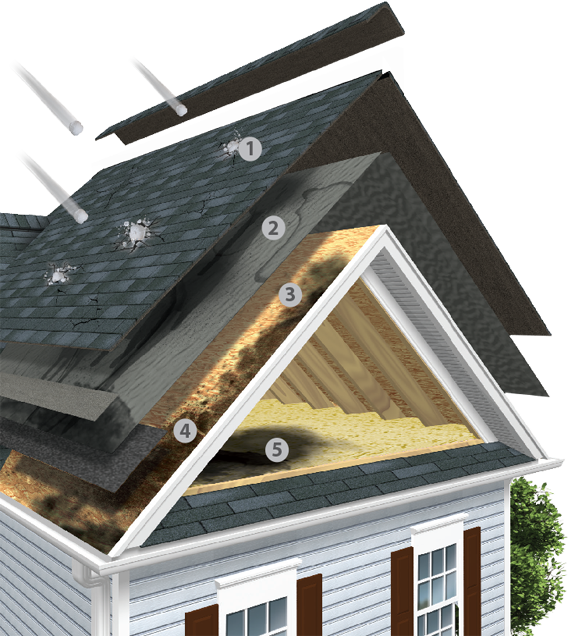 This allows water to soak the roof deck, causing wood rot and leaks inside your home. 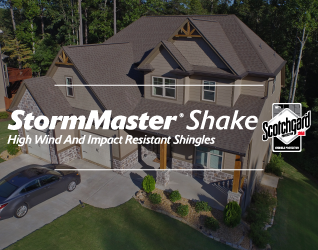 Even if hail damage does not break through the back of the shingle and cause leaks, the impact from these icy stones can leave your roof looking beat up and ugly. 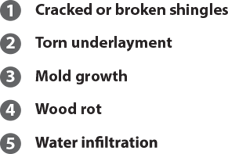 The UL 2218 Class 4 Impact Rating test simulates the damaging impact of a 2“ size hail stone. 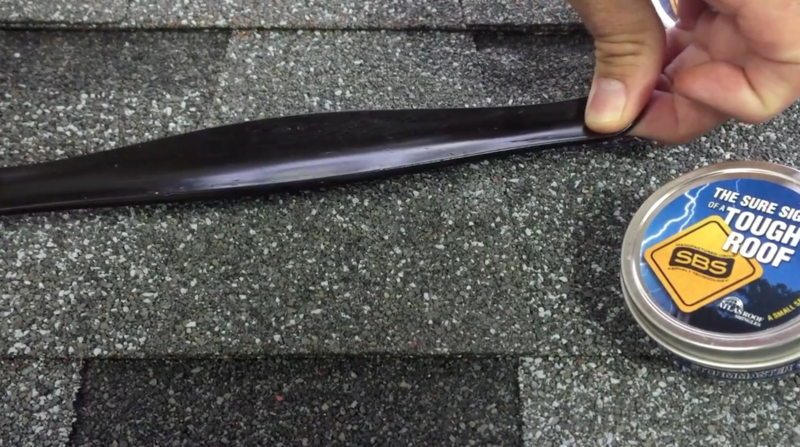 The test drops a 2“ steel ball onto the shingle twice in the same spot and the shingle cannot exhibit any signs of fracture, breaking of the glass mat, or significant granule loss. 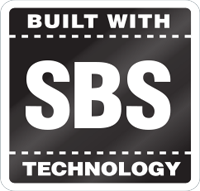 Because of the unique nature of SBS modified asphalt, Atlas StormMaster Shake and Slate pass this test and brings a more flexible & durable shingle tot he marketplace. 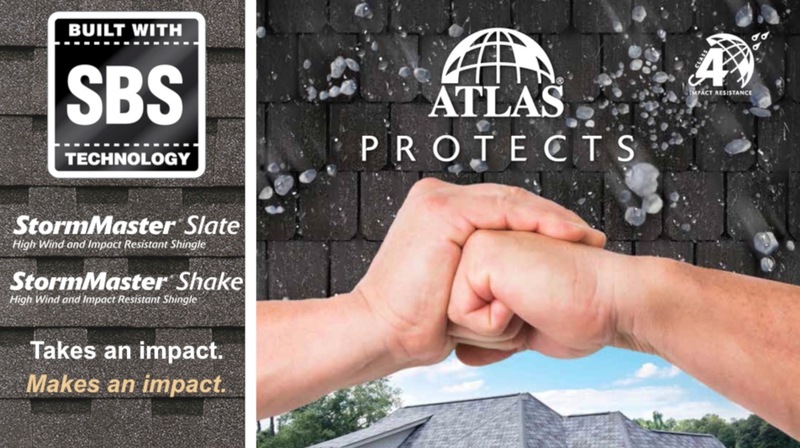 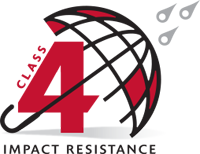 Atlas StormMaster® shingles with UL 2218 Class 4 impact rating resist hail, leaving the underlayment, roof deck and home leak free. 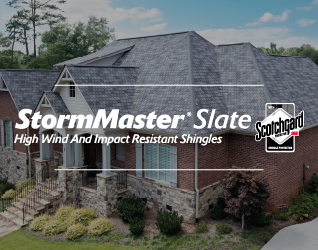 Ask your insurance agent about potential discounts on your homeowners insurance premiums when you install UL 2218 Class 4 Impact rated StormMaster® shingles.